It's been a while since I wrote a post for my Little-Known Places feature, but it's time to resurrect it with somewhere I got the chance to see inside last weekend and somewhere I suspect a lot of people don't even realise is there. 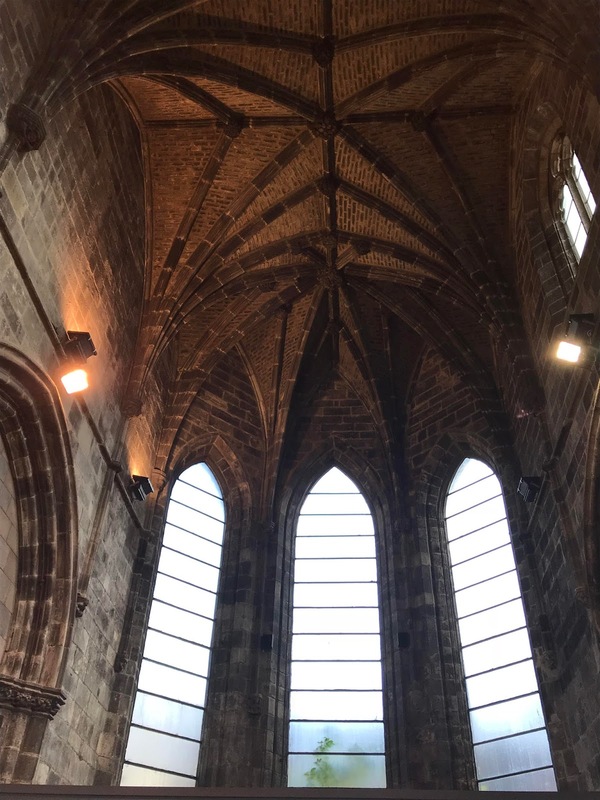 I first became aware of Trinity Apse a while ago thanks to a book I have about some of Edinburgh's hidden treasures. It was listed in there as being about the only partial example left of the many Gothic churches that once graced Edinburgh during Medieval times. What also interested me was that it's a building you can't usually get in to, (I love inaccessible places😉) tucked down one of the narrow Closes in the Old Town. I was curious so had to go find it and see what I could of it. What is left now of the original building was once part of the Trinity College Kirk. The construction of the kirk and its neighbouring almshouse and hospital began in 1460 originally on a site close to Calton Hill. It was founded by Mary of Gueldres in memory of her husband King James II. Work on the church actually continued until the 1530s but it was never completed as had originally been planned. 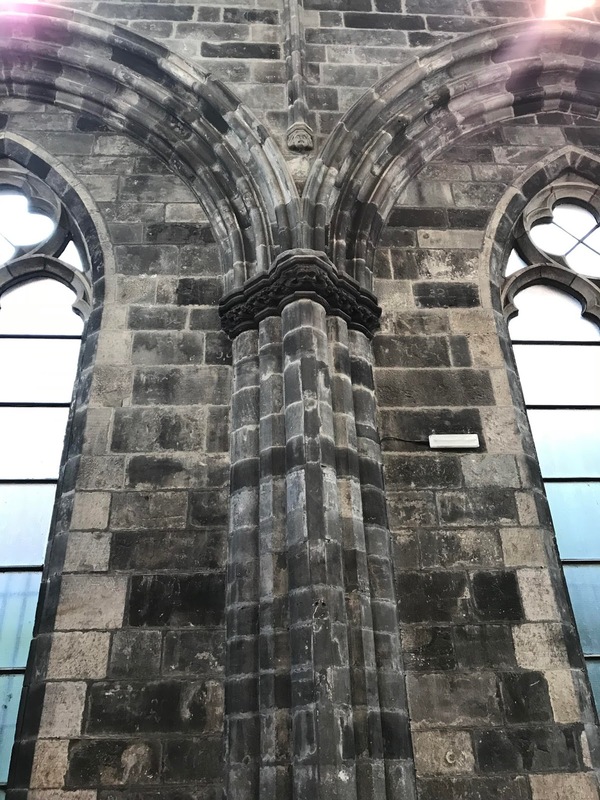 The destruction of many of the other Gothic churches of Edinburgh began during the 16th century Reformation and continued until by the mid 19th century Trinity Kirk was the only 15th century church somehow still left largely unscathed. 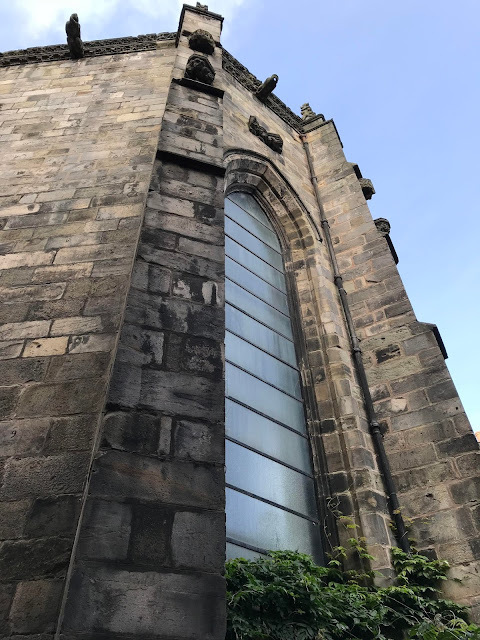 In 1848 though all that changed when the North British Railway Company announced plans to expand Waverley station encompassing the area then occupied by the church. The public protested this and it was agreed that the plans could go ahead but the railway company had to pay for the building to be carefully dismantled and rebuilt elsewhere. Sadly, although it was carefully dismantled with each brick being numbered, the stones were left unprotected on Calton Hill. 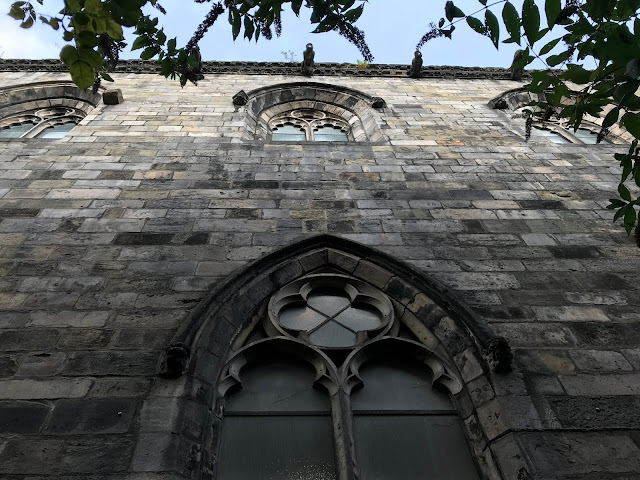 By the time a site for the rebuild was finally settled upon in 1872 many of the stones had disappeared as had the money meant for the purpose of the reconstruction. In the end all that could be reconstructed was one transept and the choir. These parts were originally rebuilt on to a Victorian church which opened in 1877, this too was subsequently demolished in 1960 leaving just the Trinity Apse, which is what you can see today. As I mentioned above I first found it a few months ago, it is viewable from the outside along both Chalmers Close and Trunk's Close off the Royal Mile so I took a few photos with the plan to share those here eventually. 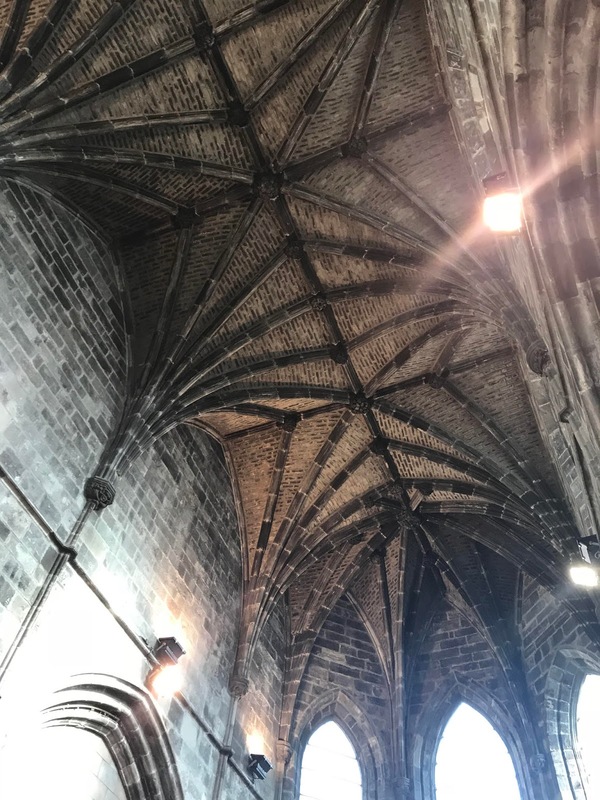 Fast forward though a few months and Doors Open day arrived, the opportunity in Edinburgh (like other cities) to view places either not open to the public or who charge an entrance fee usually. Trinity Apse was on the list so my mind was made up to take the opportunity to see inside. To my surprise there was actually nothing in the building. I'm not sure what I was expecting but I guess in my mind I imagined there to be something there, whether it were a pew or two or a statue or something but it's just an open space. At one time it was used as a brass rubbing centre and now can be hired for events so I guess this open space does make it useful for all sorts of things. That said though after my initial surprise as I looked around more I did begin to appreciate the beauty of what was there. From the floor you look straight up to the roof with its gorgeous vaulted ceiling, what little is left is quite lovely and I can only wonder about how it must have looked when the church was complete. The interior walls with their pillars and a few small stone carvings at the top are just as impressive. 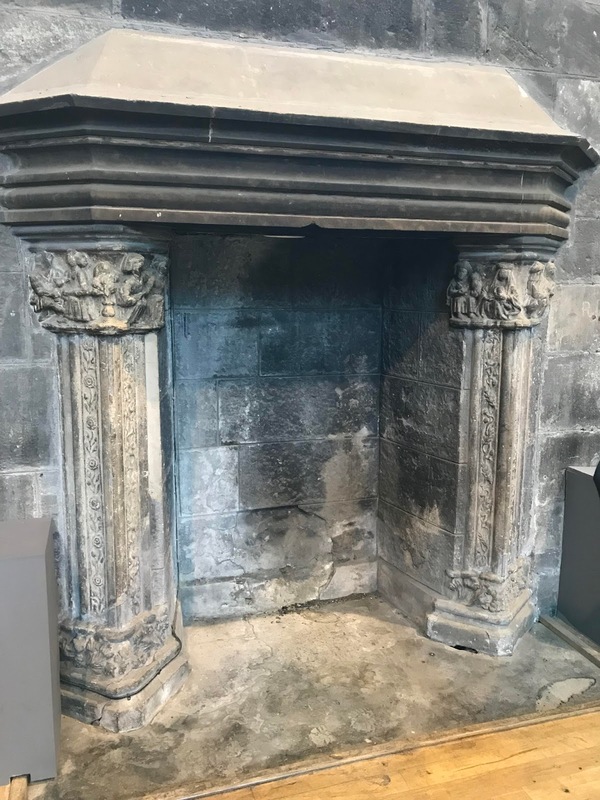 The only thing actually in the building is a fireplace but as the guide pointed out this was not an original feature. It was also underneath a window so would be a bit unlikely to be in its original spot. 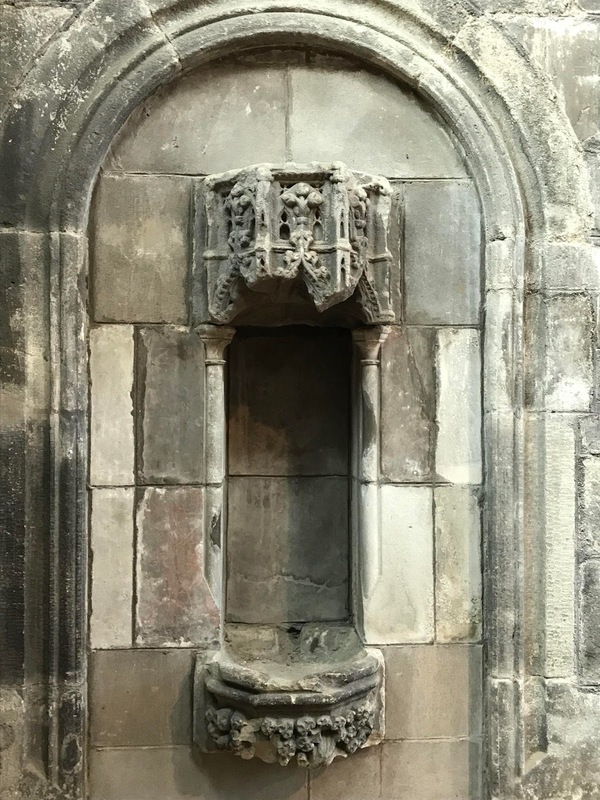 Something that I hadn't appreciated until my visit to Trinity Apse at the weekend is that there is actually another item connected to the original church that you can also still see in Edinburgh. Those of you who are based locally or who follow me on Instagram, Twitter or this blog via it's Facebook page (nice little plug there) may know that in Scotland it's the Year of History, Heritage and Archaeology and that Edinburgh is showcasing 101 of its most treasured objects from right across the city (the full list can be found here). Well if you visit the National Gallery of Scotland one of the items included on the list that you can see there is the Trinity Altarpiece by Hugo van der Goes. Yes you've guessed it, it turns out that this came from the original church. I went to view it not so long ago as part of another quest of mine to see as many of these objects on the list as I can and it really is quite beautiful. The altarpiece depicts James III and Queen Margaret of Denmark accompanied by St Andrew and the Archangel Michael. It's believed the child is the future King James IV with the other panel showing the Provost of Trinity College church, Edward Bonkil. 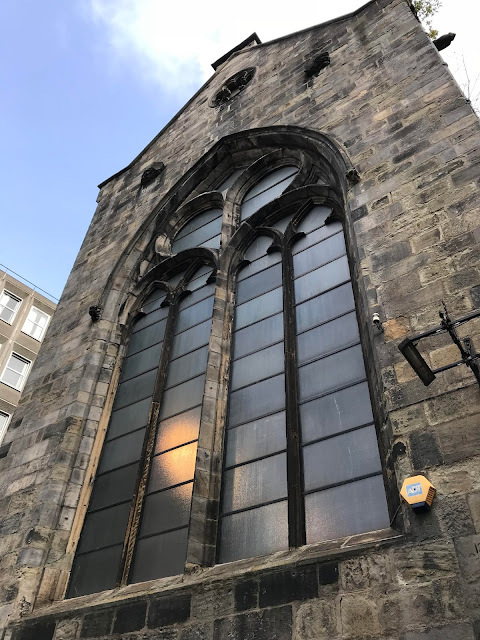 The Trinity Apse is pretty well hidden down the narrow Close it's in and in amongst the far more modern buildings surrounding it, making it a fascinating little find if you do. Whilst, as I said it can be hired out, it does seems a bit of a shame in a way that access is so restricted to this little gem. If you don't get to see it any other way fingers crossed it'll be opened up again on future Doors Open days.